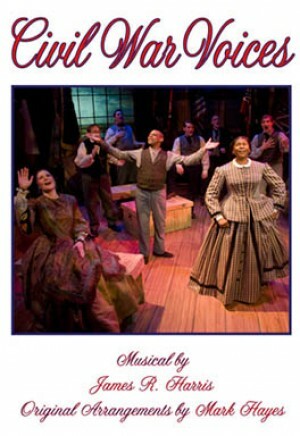 This musical tells the compelling and passionate true stories of real people who lived through the Civil War, often using the actual words they left behind in diaries, letters and other writings. Joe Harris was a cotton planter from Alabama with a conflicted conscience about the war. The discovery of the existence of his diary inspired the play. 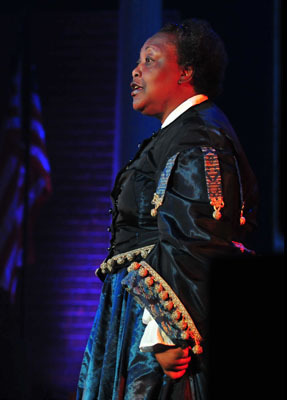 Elizabeth Keckley endured the indignity of slavery, bought her freedom and became Mary Todd Lincoln's closest friend and personal assistant in the White House. Theo Perry and his pregnant wife, Harriet, were a young, married couple from Texas who were separated by the war. Joshua Lawrence Chamberlain was a college professor from Maine who enlisted to fight for the Union, became a national war hero as a result of his actions at Gettysburg and accepted the Confederate surrender at Appomattox. 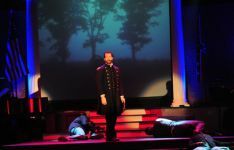 The show contains exciting arrangements of some of the greatest songs of the period, such as "Battle Hymn of the Republic," "Amazing Grace" and "Sometimes I Feel Like a Motherless Child." 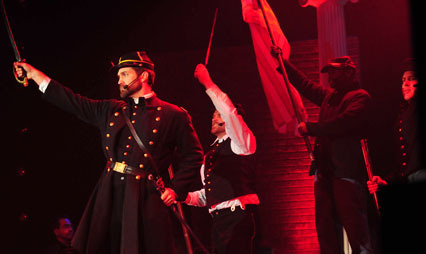 Appealing to all audiences, the songs and stories bring to life the incredible drama of this stirring era.